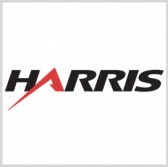 Harris has received an initial $10 million order from the U.S. Army to manufacture mid-tier networking vehicular radio systems following a Milestone C decision from the Defense Department. The company will produce Falcon III AN/VRC-118 MNVRs for Army warfighters to share, voice, data and video as well as operate as a node in a mobile network to transmit information from one MNVR system to another, Harris said Wednesday. The radio is based on Harris’ tactical wideband networking technology and employs wideband networking and soldier radio waveforms. Brendan O’Connell, president of Harris’ tactical communications business, said the MNVR technology will work to help military users communicate when they perform brigade operations even in satellite denied environments. Harris added that the Army will use the radio to field the 1st and 3rd Brigades of the 82nd Airborne Division as part of capability set 17.